Still time before Advent sets in – this is a beautiful simple decoration that’s not the usual Christmas red or green colours, – nice! Circus creates a warm feeling in the stomach & evokes many beautiful memories from the time when our boys grew up. 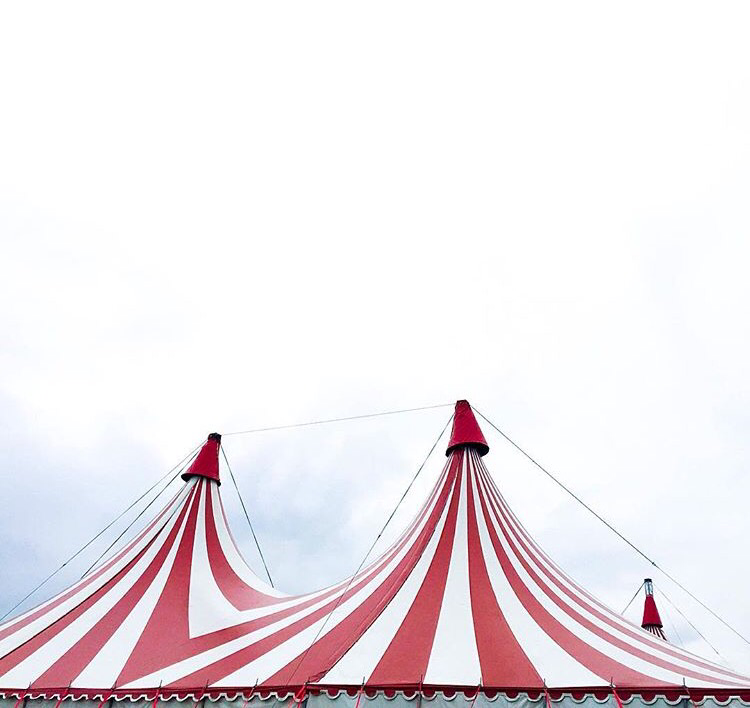 Each summer, & a number of visiting circuses around the country each season – we rushed to buy tickets for the evening show, dress up nicely (for some reasons) & queue up in popcorns & cotton candy lines before entry. The mere sight of the tents in bright colours from the distance was enough to create excitement & anticipation. A beautiful roof image of an old beautiful & exciting city – Kraków in Poland. Where each roof looks like a handmade jewellery. There’s nothing more inviting than a bed to dive into, with soft beddings, and forget about the world outside. This interior with the modern brass lamp & the grandfather clock with deep roots in Swedish traditions is a very exciting contrast / combination.